Your heart has four valves that function a bit like one-way gates. They make sure that the blood is pumped through your heart in the right direction. Oxygen-poor blood flows into the lungs, and oxygen-rich blood flows out of the lungs and into the body again. Heart valve diseases are usually caused by damage to the heart valves over time. For this reason, doctors call them “acquired” heart valve defects. These defects generally arise in older people due to wear and tear. Heart valve problems in children are usually present at birth (congenital) and are treated in a different way. There are two types of heart valve disease: In valve stenosis, the valve flap can no longer open properly, making the valve narrower. In regurgitation, the heart valve can’t close properly. Sometimes both problems occur together. Heart valve disease only becomes a problem if the heart can no longer pump enough blood into the body. If a heart valve is only slightly leaky or only slightly narrow, the heart can often compensate by pumping a bit harder. As a result, mild cases of heart valve disease may go unnoticed for a long time. In countries like Germany, wear and tear is the most common cause of heart valve disease: The heart valves may gradually become thick or stiff over time, and can then no longer move as easily. But there are other, rarer causes: For instance, heart valves may become damaged during an acute bacterial infection of the inner layer of the heart (endocarditis). Endocarditis can also suddenly make mild cases of heart valve disease worse. A condition known as rheumatic fever – often following a bacterial infection elsewhere in the body – can also lead to heart valve disease. But that is very rare in countries like Germany nowadays. Some people are born with one or more abnormally shaped heart valves. This increases the risk of the valve becoming narrow or no longer closing properly over time. Sometimes the heart valves are healthy but the heart has become so big that the valves can no longer close properly. Various things can make the heart become enlarged. These include heart failure, a heart muscle inflammation, blood circulation problems in the heart muscle, long-term high alcohol consumption or metabolic diseases. Heart valves may also no longer work properly if nearby heart muscle tissue has been damaged – for instance, due to a heart attack. In industrialized countries, heart valve diseases mainly occur in older people. In most cases, either the aortic valve is too narrow or the mitral valve no longer closes properly: About 13 out of 100 people over the age of 75 have problems with one of these two heart valves. 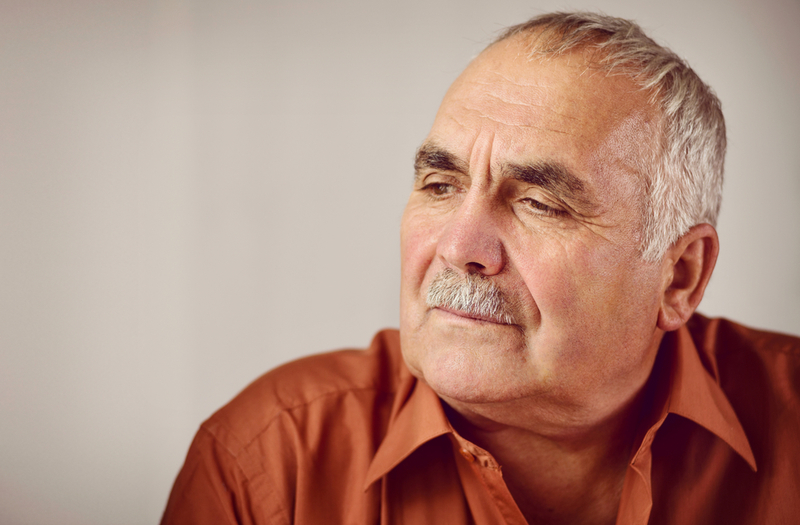 Heart valve problems are somewhat more common in men than in women. 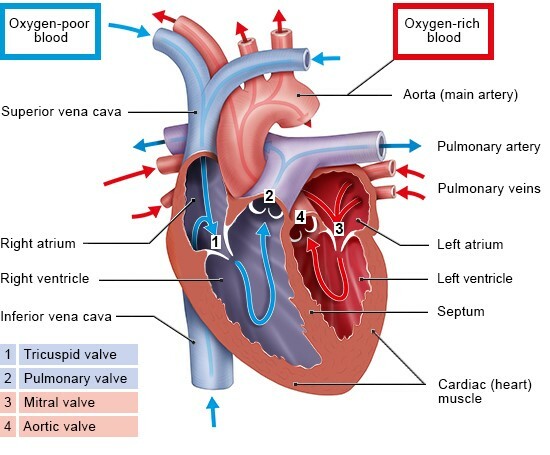 The heart can often compensate for a narrowed or leaky valve over years or even decades. But the heart muscle has to work harder. This makes it grow thicker and the heart becomes enlarged. If the heart has to work harder over a long period of time, it can't return to its normal size and the problem gets worse. The thickened heart muscle is less elastic, the ventricles become “worn out” and the heart is weaker overall. At first this only causes noticeable symptoms during strenuous physical activities, but eventually the symptoms occur at rest too. If the heart becomes very weak, it can lead to life-threatening heart failure (cardiac insufficiency). Other heart conditions can make the symptoms of heart valve damage worse. The main heart conditions that have this effect are coronary artery disease and irregular heartbeats such as atrial fibrillation. Heart attacks can also cause previous heart valve damage to suddenly become more noticeable. But heart attacks sometimes lead to acute heart failure even if none of the heart valves were damaged before. Heart valve problems may get so bad that the heart can no longer pump enough blood around the body despite working as hard as it can. This leads to a vicious circle: Because the heart no longer gets enough blood itself, it can soon become weak. If the heart can't pump enough oxygen-rich blood around the body, it’s known as heart failure. Damaged heart valves can also lead to an irregular heartbeat (arrhythmia). People may develop lung problems too because the blood starts building up there. This can result in high blood pressure in the lungs or a build-up of fluid in the lung tissue (pulmonary edema). Both of these conditions cause severe breathing difficulties. Doctors can often already determine whether someone has heart valve problems by giving them a thorough physical examination and listening to their heart with a stethoscope. An ultrasound scan of the heart (echocardiogram or “echo”) can be done to confirm the diagnosis and find out how severe the heart valve disease is. It sometimes makes sense to do an echocardiogram from inside the food pipe rather than from outside the body. Like in an examination of the stomach (gastroscopy), this involves inserting a tube into the food pipe. But the tube is only pushed down far enough so that it is next to the heart. The tube has an ultrasound transducer attached to the end of it, which is used to examine the heart. Cardiac catheterization may also be needed – for instance, if it is thought that the coronary arteries might be too narrow as well. This examination involves inserting a thin tube (catheter) into the heart through a blood vessel, and injecting a special dye into the coronary arteries (coronary angiography). The doctor can then take a closer look at the arteries on a screen. Some people have a higher risk of heart valve complications due to endocarditis (inflammation of the inner layer of the heart) – for instance, if they are born with a heart valve defect or if they have already received an artificial heart valve. They may be given antibiotics just before having procedures such as tooth or gum surgery. The antibiotics kill bacteria that could otherwise enter the bloodstream from the mouth and infect the inner layer of the heart. Sometimes, but only rarely, people need to take antibiotics for the rest of their life. This may be the case for people who have developed severe heart valve problems due to rheumatic fever. The aim of treatment with antibiotics is to prevent further episodes of rheumatic fever. Smoking not only increases your overall risk of cardiovascular (heart and blood vessel) disease – it can also damage the heart valves. Because of this, not smoking, or trying to stop smoking, is one of the most important things you can do to prevent heart valve problems. Whether treatment is needed – and, if so, which treatment – will depend on many factors. For instance, which heart valve is damaged and how severely it is affected. Other important factors include the person's symptoms, age, their general health and individual needs. If heart valve disease has to be treated, there are two main treatment options: The faulty heart valve can either be replaced with an artificial heart valve or repaired through a different procedure. The operation may be done through open heart surgery or using a catheter. Some people might have to take medication for the rest of their life after having this treatment. Because heart valve disease doesn't normally require urgent treatment, there is usually enough time to carefully consider the treatment options together with your doctor. Heart valve surgery in a hospital is usually followed by a cardiac rehabilitation program. This helps people to get used to physical exercise again and then gradually increase the intensity. Cardiac rehabilitation improves your physical fitness and quality of life. Your medication is adjusted and your heart is checked regularly too. Some people are scared of being too active after surgery in case it makes their heart problems worse again. As well as exercise, the rehabilitation program involves having talks and learning strategies to help you cope better with the situation. Many people find that this helps them to develop a better feel for how far they can go. If you have been diagnosed with heart valve disease but it hasn't been treated yet, knowing about it might make you feel anxious. Symptoms such as weakness and tiredness can be a particular problem if they limit what you can do in everyday life. It's often difficult to make a treatment decision. It can be helpful to discuss any questions or concerns you may have with your friends, family and doctor. Our list of questions can help to prepare for doctor's appointments. You can choose the most relevant questions, print them out and take them along. Decision aids can help too: They allow you to see your own situation more clearly, compare the pros and cons of different treatment options, and find out what’s most important to you. After heart surgery, people have to take things easy for a while and won't be able to do everything on their own. You can already contact your health insurer before the operation to apply for assistance – for instance, household help. This has to be prescribed by a doctor. It is also a good idea to talk to your family and friends about whether, when and how they could help you. You can contact your health insurance to find out what kinds of help and nursing care you are entitled to. There are also other places that offer individual advice. Many of these offers vary greatly, depending on where they are based, and they aren’t always easy to find. Our list may help you find places to turn to.